The Prince’s Trust has been working with The Savoy since 2015, delivering a yearly 3 week programme that teaches young people the skills they need to thrive in the hospitality industry. The programme offers work experience in a variety of areas within the hotel including; housekeeping, event operations, switchboard, the kitchen, technical services and more. Following the end of the programme, The Savoy offers the young people on the course employment opportunities including guaranteed interviews for real time jobs. “The Savoy is very proud to work with The Prince’s Trust to give the opportunity to young people with so much potential, to get into hospitality and develop their talents at The Savoy.” Lucas Perelstein, Recruitment Manager, The Savoy. Back in November we paid a visit to one of the latest recruits from the July 2018 programme. Walking through the staff only corridors of The Savoy, we made our way to the kitchen. Standing in the corner scrubbing up oysters was Jayden Renwick. 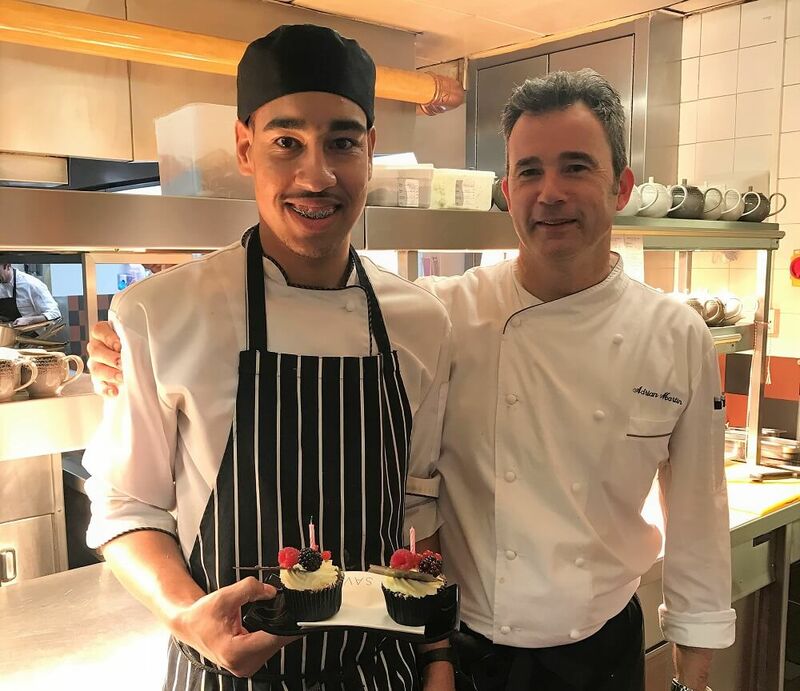 Jayden is the latest chef’s apprentice to join the kitchen team via our Get Into Hospitality programme with The Savoy. The first 2 weeks of the course he worked with the back of house team. His performance was strong, but he wasn’t enjoying it. He requested to work in the kitchen but never thought it was going to be possible. Much to his surprise, The Savoy team placed him with Simpson’s Master Cook, Adrian Martin, in the kitchen. His first few days were scary, but he got straight into it, learning chopping and knife skills. He loved the pressure of a busy kitchen, and was offered an interview following great feedback from Adrian. “Jayden brought great enthusiasm to the kitchen which can be a very hectic environment. He was dedicated and didn’t complain, he worked hard and was always willing to do more. Jayden wouldn’t have been successful via standard application, if he wasn’t put under my nose I wouldn’t have been able to extract his talent. I look forward to having more young people from the programme in 2019” Adrian Martin, Master Cook, The Savoy. If you’re interested in joining the Get Into Hospitality With The Savoy programme, please get in touch with The Prince’s Trust here.